One of my friends gave me Born to Run for my birthday and I’ve been reading it with a pen in hand. It’s so romantically quotable for running junkies. Telling people you’re running a marathon elicits a range of reactions. I, of course, love the ones filled with awe. I modestly smile and soak in the look of amazement, knowing full well that anyone can run a marathon. Like one of my all-time favorite movies, Ratatouille, proclaims, “Anyone can cook!” Anyone truly can run long distances. It just takes time, because the training schedules aren’t days or weeks long; they’re months long. My least favorite reaction would be the look of horror. Sure, that thought has crossed my mind once or twice. It just seems so illogical. How can exercise be bad? However, the statistics and runners around me don’t lie. 65-80% of runners are injured every year. That’s a scary statistic I thankfully have not entered. But being injured is, well, inevitable? Thankfully it appears Born to Run has some answers. 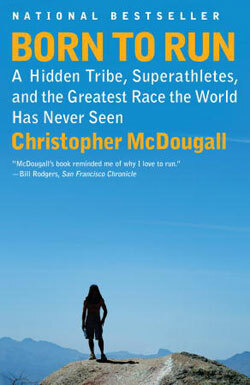 It’s a national bestseller written by a journalist from Runner’s World magazine. Like so many runners, he was frequently injured. He set off to understand how humans had been running for thousands of years injury-free and yet now-a-days we are plagued by IT band issues, plantar fascitious, Achilles tendonitis, and the list goes on. The answer was in our stride. Have you ever watched a child run? It’s completely different than the way most adults run. Have you ever watched a Kenyan run? Children and elite runners land on their midfoot and roll their foot in towards the toes. The heel barely strikes the ground. It’s called a midfoot strike. The pounding running puts on our body shifts to the foot, because that’s what the foot and arch are there to do—absorb the shock. You know what isn’t supposed to absorb all that shock? Our legs. Our bodies are able to run incorrectly because super-cushioned shoes allow us to do so. 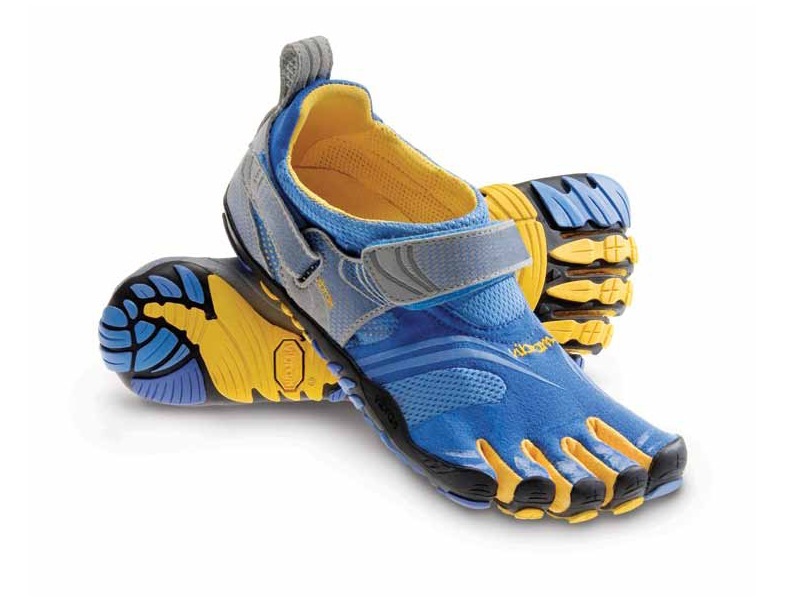 I used to scoff at runners who wore those five-finger shoes. I didn’t understand why they wore them and based my laughter on their aesthetics alone. They looked too graceful hopping along the trail; their toes all separate and monkey-like. I was fine clunking along in my heavy, cushiony over-pronation trainers. And then, I wasn’t. I signed up to run 26.2 miles and I got scared. Those people, the horror-face ones, started infiltrating my brain. I’ve been running in five-fingers for about a month now. It’s a transition to say the least. It’s awkward and requires muscles that I think were dormant, but it’s also extremely fun. I feel like I could go forever, if my calves would stop burning. Will I eventually be able to run a marathon in five fingers? I’m not sure. People have done it but I don’t think my foot and calf strength are there yet. They’ve certainly helped my gait when I wear trainers on my long runs. I bring up these facts and statistics because I know others share my injury fear. I honestly don’t think it’s just another trend. I’ve found that running short distances in minimal shoes has helped me relearn how to midfoot strike in my Mizuno trainers. I highly recommend reading Born to Run and a recent article by the author in the New York Times. Running should not be painful or difficult. It should be easy, light, smooth, and fast. Also, the shoes and book make great gifts!